Insightful quotes and excerpts from the influential book on consciousness, spirituality and psychedelics The Doors of Perception by the philosopher and writer Aldous Huxley. 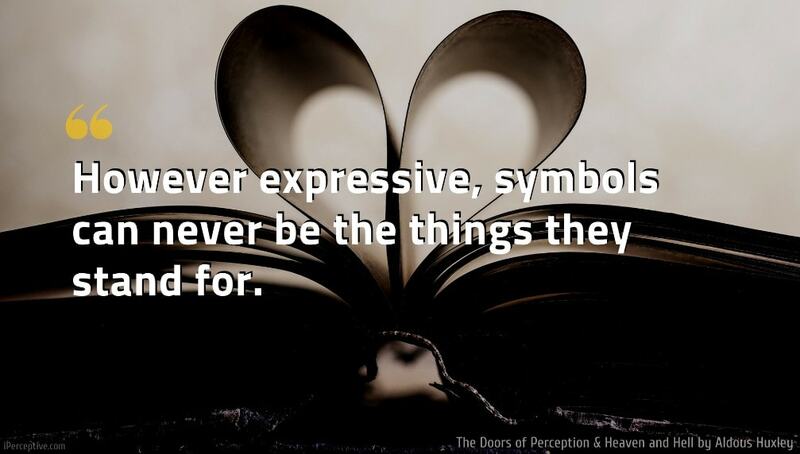 However expressive, symbols can never be the things they stand for. In a world where education is predominantly verbal, highly educated people find it all but impossible to pay serious attention to anything but words and notions. There is always money for, there are always doctrines in, the learned foolery of research into what, for scholars, is the all-important problem: Who influenced whom to say what when? Even in this age of technology the verbal humanities are honoured. The non-verbal humanities, the arts of being directly aware of the given facts of our existence, are almost completely ignored. We can never dispense with language and the other symbol systems; for it is by means of them, and only by their means, that we have raised ourselves above the brutes, to the level of human beings. But we can easily become the victims as well as the beneficiaries of these systems. We must learn how to handle words effectively; but at the same time we must preserve and, if necessary, intensify our ability to look at the world directly and not through that half opaque medium of concepts, which distorts every given fact into the all too familiar likeness of some generic label or explanatory abstraction. At breakfast that morning I had been struck by the lively distance of its colours. But that was no longer the point. I was not looking now at an unusual flower arrangement. 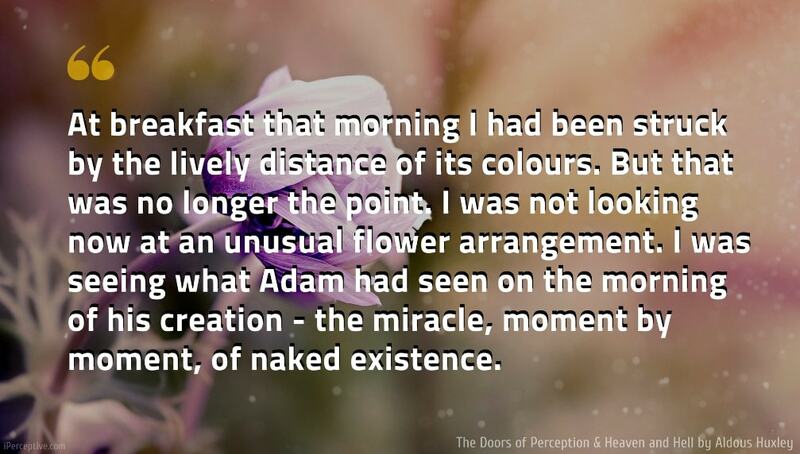 I was seeing what Adam had seen on the morning of his creation - the miracle, moment by moment, of naked existence. 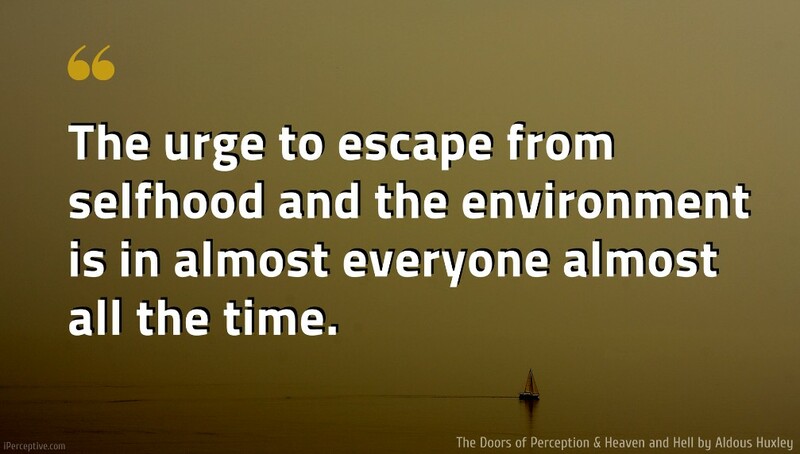 The urge to escape from selfhood and the environment is in almost everyone almost all the time. Technology has tended to devaluate the traditional vision-inducing materials. 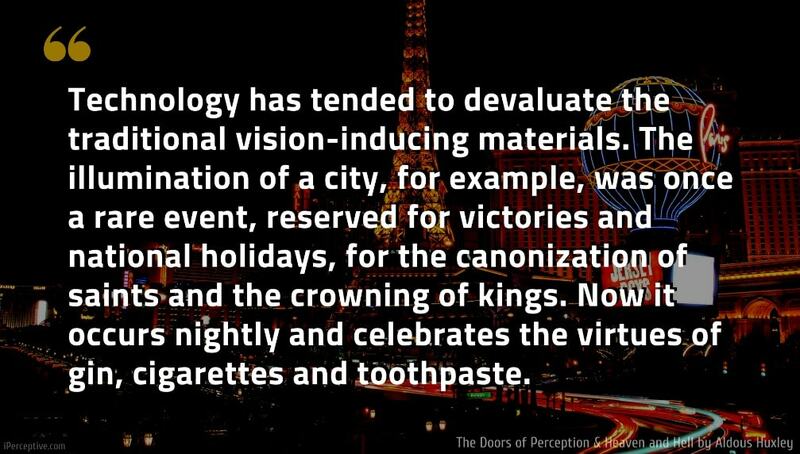 The illumination of a city, for example, was once a rare event, reserved for victories and national holidays, for the canonization of saints and the crowning of kings. Now it occurs nightly and celebrates the virtues of gin, cigarettes and toothpaste. From the records of religion and the surviving menuments of poetry and the plastic arts it is very plain that, at most times and in most places, men have attached more importance to the inscape than to objective existents, have felt that what they saw with their eyes shut possessed a spiritually higher significance than what they saw with their eyes open. The reason? Familiarity breeds indifference. We have seen too much pure, bright color at Woolworth’s to find it intrinsically transporting. And here we may note that, by its amazing capacity to give us too much of the best things, modern technology has tended to devaluate the traditional vision-inducing materials. 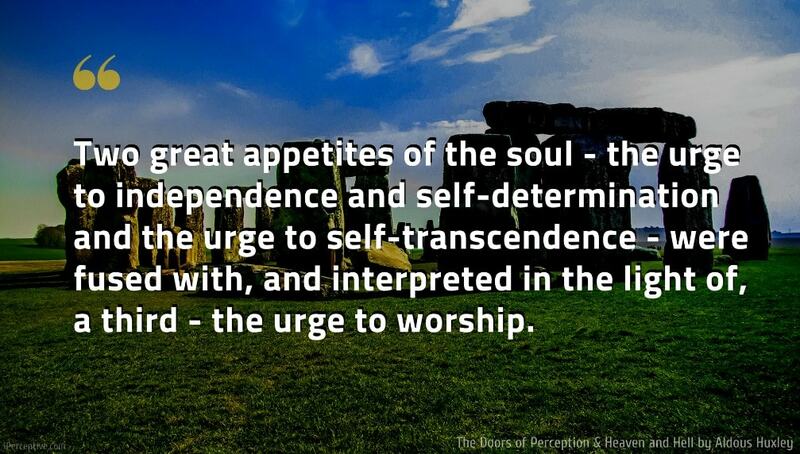 Two great appetites of the soul - the urge to independence and self-determination and the urge to self-transcendence - were fused with, and interpreted in the light of, a third - the urge to worship. The effects of the mescalin were already on the decline: but the flowers in the gardens still trembled on the brink of being supernatural, the pepper trees and carobs along the side streets still manifestly belonged to some sacred grove. Eden alternated with Dodona. Yggdrasil with the mystic Rose. In reality, of course, it always does look after itself. All that the conscious ego can do is to formulate wishes, which are then carried out by forces which it controls very little and understands not at all. When it does anything more -when it tries too hard, for example, when it worries, when it becomes apprehensive about the future -it lowers the effectiveness of those forces and may even cause the devitalized body to fall ill. 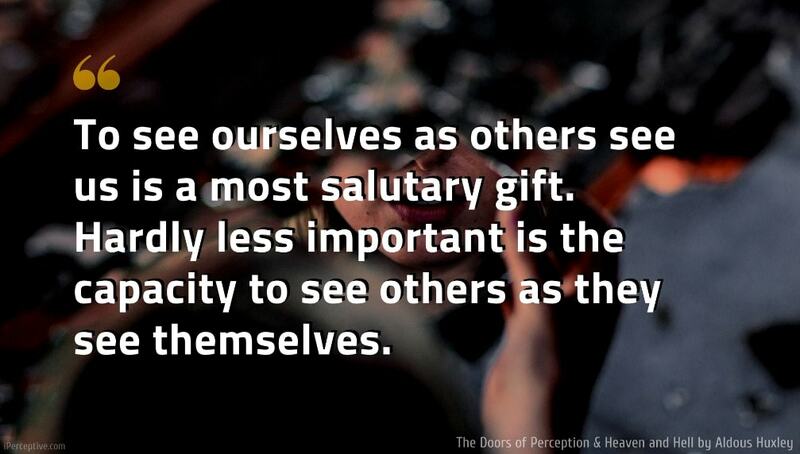 In my present state, awareness was not referred to as ego; it was, so to speak, on its own. This meant that the physiological intelligence controlling the body was also on its own. For the moment that interfering neurotic who, in waking hours, tries to run the show, was blessedly out of the way. Further research revealed that lysergic acid, an extremely potent hallucinogen derived from ergot, has a structural biochemical relationship to the others. Then came the discovery that adrenochrome, which is a product of the decomposition of adrenalin, can produce many of the symptoms observed in mescalin intoxication. But adrenochrome probably occurs spontaneously in the human body. In other words, each one of us may be capable of manufacturing a chemical, minute doses of which are known to cause profound changes in consciousness. It would be interesting, in this context, to make a study of the works of art available to the great knowers of Suchness. What sort of pictures did Eckhart look at? What sculptures and paintings played a part in the religious experience of St. John of the Cross, of Hakuin, of Hui-neng, of William Law? The questions are beyond my power to answer; but I strongly suspect that most of the great knowers of Suchness paid very little attention to art - some refusing to have anything to do with it at all, others being content with what a critical eye would regard as second-rate, or even, tenth-rate, works. 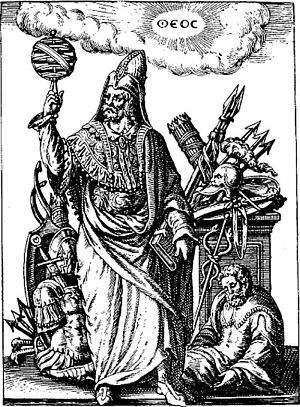 (To a person whose transfigured and transfiguring mind can see the All in every this, the first-rateness or tenthrateness of even a religious painting will be a matter of the most sovereign indifference.) Art, I suppose, is only for beginners, or else for those resolute dead-enders, who have made up their minds to be content with the ersatz of Suchness, with symbols rather than with what they signify, with the elegantly composed recipe in lieu of actual dinner. I am not so foolish as to equate what happens under the influence of mescalin or of any other drug, prepared or in the future preparable, with the realization of the end and ultimate purpose of human life: Enlightenment, the Beatific Vision. All I am suggesting is that the mescalin experience is what Catholic theologians call "a gratuitous grace," not necessary to salvation but potentially helpful and to be accepted thankfully, if made available. To be shaken out of the ruts of ordinary perception, to be shown for a few timeless hours the outer and inner world, not as they appear to an animal obsessed with survival or to a human being obsessed with words and notions, but as they are apprehended, directly and unconditionally, by Mind at Large — this is an experience of inestimable value to everyone and especially to the intellectual. I was sitting on the seashore, half listening to a friend arguing violently about something which merely bored me. Unconsciously to myself, I looked at a film of sand I had picked up on my hand, when I suddenly saw the exquisite beauty of every little grain of it; instead of being dull, I saw that each particle was made up on a perfect geometrical pattern, with sharp angles, from each of which a brilliant shaft of light was reflected, while each tiny crystal shone like a rainbow…. The rays crossed and recrossed, making exquisite patterns of such beauty that they left me breathless…. Then, suddenly, my consciousness was lighted up from within and I saw in a vivid way how the whole universe was made up of particles of material which, no matter how dull and lifeless they might seem, were nevertheless filled with this intense and vital beauty. For a second or two the whole world appeared as a blaze of glory. When it died down, it left me with something I have never forgotten and which constantly reminds me of the beauty locked up in every minute speck of material around us. But meanwhile my question remained unanswered. How was this cleansed perception to be reconciled with a proper concern with human relations, with the necessary chores and duties, to say nothing of charity and practical compassion? The age-old debate between the actives and the contemplatives was being renewed - renewed, so far as I was concerned, with an unprecedented poignancy. For until this morning I had known contemplation only in its humbler, its more ordinary forms - as discursive thinking; as a rapt absorption in poetry or painting or music; as a patient waiting upon those inspirations, without which even the prosiest writer cannot hope to accomplish anything; as occasional glimpses, in Nature, of Wordsworth's "something far more deeply interfused"; as systematic silence leading, sometimes, to hints of an "obscure knowledge." But now I knew contemplation at its height. At its height, but not yet in its fullness. For in its fullness the way of Mary includes the way of Martha and raises it, so to speak, to its own higher power. Mescalin opens up the way of Mary, but shuts the door on that of Martha. It gives access to contemplation - but to a contemplation that is incompatible with action and even with the will to action, the very thought of action. In the intervals between his revelations the mescalin taker is apt to feel that, though in one way everything is supremely as it should be, in another there is something wrong. His problem is essentially the same as that which confronts the quietist, the arhat and, on another level, the landscape painter and the painter of human still lives. Mescalin can never solve that problem; it can only pose it, apocalyptically, for those to whom it had never before presented itself. Cambridge philosopher, Dr. C. D. Broad, “that we should do well to consider much more seriously than we have hitherto been inclined to do the type of theory which Bergson put forward in connection with memory and sense perception. The suggestion is that the function of the brain and nervous system and sense organs is in the main eliminative and not productive. Each person is at each moment capable of remembering all that has ever happened to him and of perceiving everything that is happening everywhere in the universe. The function of the brain and nervous system is to protect us from being overwhelmed and confused by this mass of largely useless and irrelevant knowledge, by shutting out most of what we should otherwise perceive or remember at any moment, and leaving only that very small and special selection which is likely to be practically useful.” According to such a theory, each one of us is potentially Mind at Large. But in so far as we are animals, our business is at all costs to survive. To make biological survival possible, Mind at Large has to be funneled through the reducing valve of the brain and nervous system. What comes out at the other end is a measly trickle of the kind of consciousness which will help us to stay alive on the surface of this particular planet. To formulate and express the contents of this reduced awareness, man has invented and endlessly elaborated those symbol-systems and implicit philosophies which we call languages. 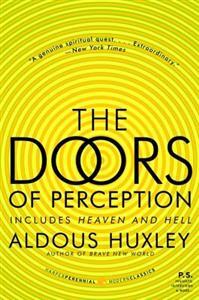 The Doors of Perception & Heaven and Hell is a book written by the British philosopher and writer Aldous Huxley. The book explores topics such as consciousness, spirituality and psychedelics, most notably mescaline, which Huxley experimented with in the 50s.